The beautiful thing about riding a bicycle is that you can do it anywhere! Whether you’re pedalling beachside in California or adventuring through the woods in upstate New York, a bike is not geographically exclusive. Translation: Today’s story applies to all! Because of this, we’ve rounded up 19 staples that will allow you to be more than prepared for a summer’s worth of stylish cycle excursions! 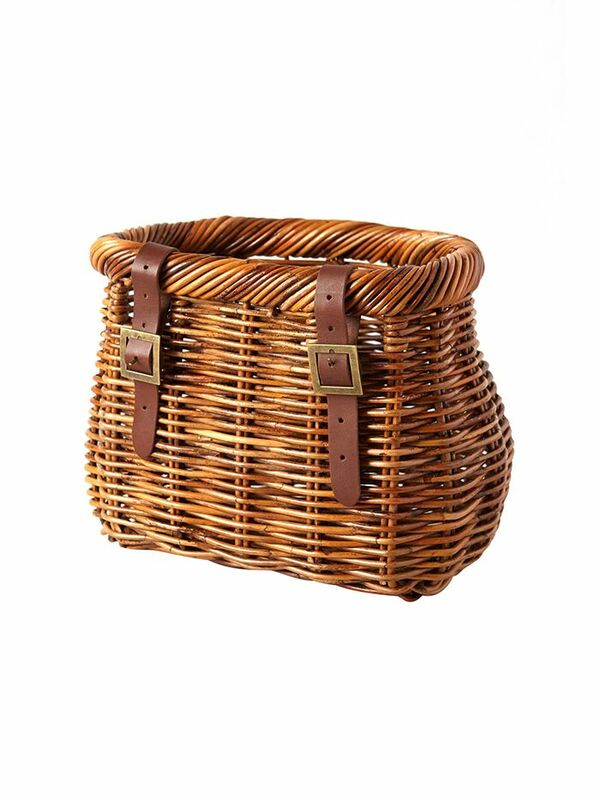 ?Just picture how charming this woven bike basket would look with flowers from the farmer’s market in it! ?A lightweight jacket in a versatile hue is a must. ?When creating a stylish bike ensemble, a slouchy, worn-in tee is a great start. ?There’s no denying that overalls have made a major comeback, and we can’t think of a more perfect scenario to wear them to than a summer bike ride! ?No need to check your phone for the time if you have this sweet and simple watch handy! ?A pair of crisp, white sandals is perfect for a sun-filled day on your bike. ?OK, these are perfect for any occasion, really! ?These chunky stacked heels are flattering and functional. ?We take bike rides safely and stylishly! ?Call us old-fashioned, but wouldn’t this silk headscarf look charming tied under the chin? ?There’s zero chance you won’t feel exponentially more stylish if you invest in a floral-print seat cover! ?A striped sweater is ideal for throwing over your layers when it gets windy! ?We must have you, adorable bike bell! ?If you prefer to stick with a classic pair of jeans, try a relaxed boyfriend style. ?Sure, a mini-dress may not work well on a bicycle, but no one ever said anything about a romper! ?Give your bike ensemble a finishing polish via this sleek Panama hat. ?Accessorize your look with this southwestern-inspired choker. ?Pair these tribal-print shorts with a slouchy tee and hat and you’re ready to go! ?A chic, hands-free bag is perfect for your summer bike excursions. Want more bike outfit inspiration? Scroll through for nine cheerful and colourful looks!